Apartment in Recoleta, Buenos Aires - Copernico ! 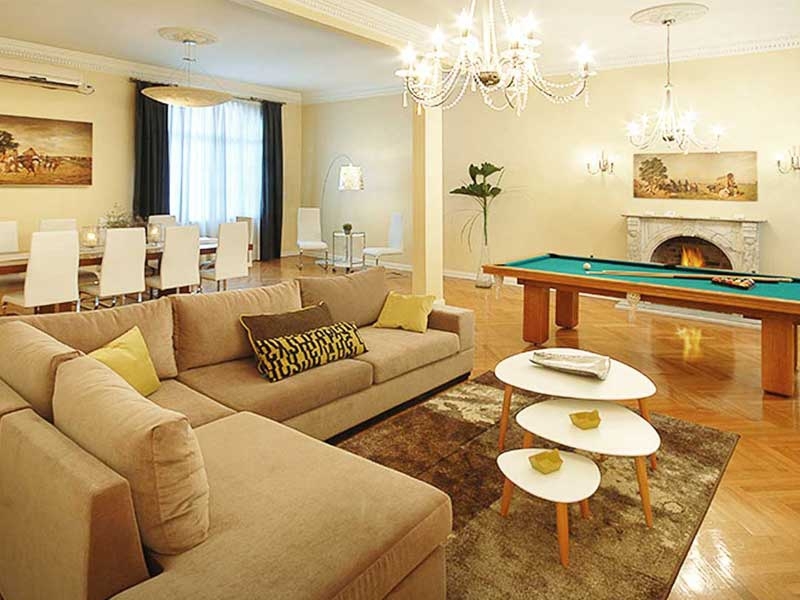 Impressive 3200 square feet three bedroom apartment in “La Isla”, the most exclusive Recoleta location, close to major sights, parks and restaurants. This luxurious 300 square meter apartment for rent in Buenos Aires is located in the heart of Recoleta, in an area known as “La Isla”, surrounded by embassies, parks, and close to all must-see sights. No expense was spared in the complete renovation and furnishing of this apartment, set on the 8th floor of this classic building. The living room is incredibly spacious, with not one but two sitting areas, and a dining table that can fit up to 10 people in style. Furnished in a traditional style, with comfortable and plentiful seating, cable TV and an impressive outlook. The dining area is a great place to entertain, should you decide to cook at home. The kitchen is a chef’s delight and has been completely renovated to a high standard. Granite countertops and modern appliances complete the package. This great apartment has three bedrooms, all of them ensuite. The master bedroom has a king size bed, TV with cable, a large walk-in closet and ensuite bathroom. The bathroom comes complete with marble countertops and features both a shower and a jacuzzi.The master bedroom also provides with an office area complete with computer and printer. The second and third rooms feature a queen size bed, TV with Cable and are also ensuite. 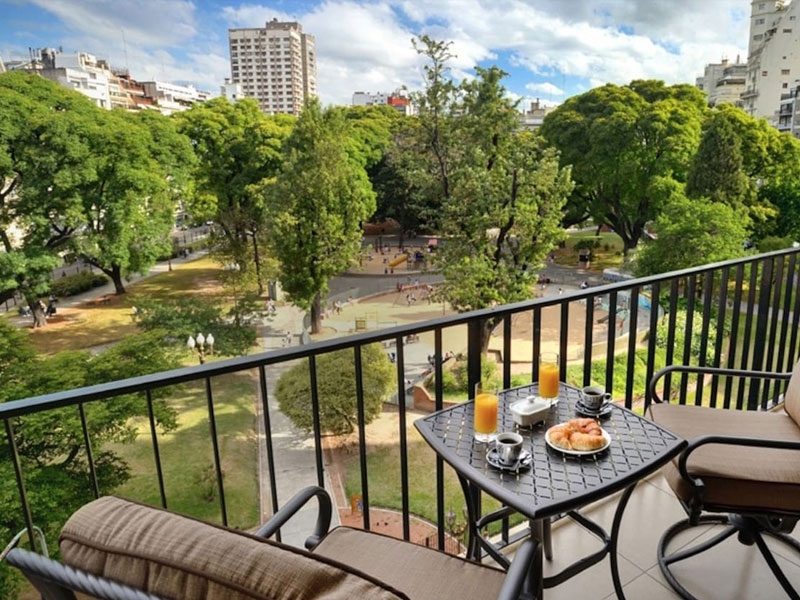 Copernico is in, perhaps, one of the best locations of historic Recoleta, with its parks, plazas, tree lined streets and cultural attractions. This apartment will definitely exceed your expectations.